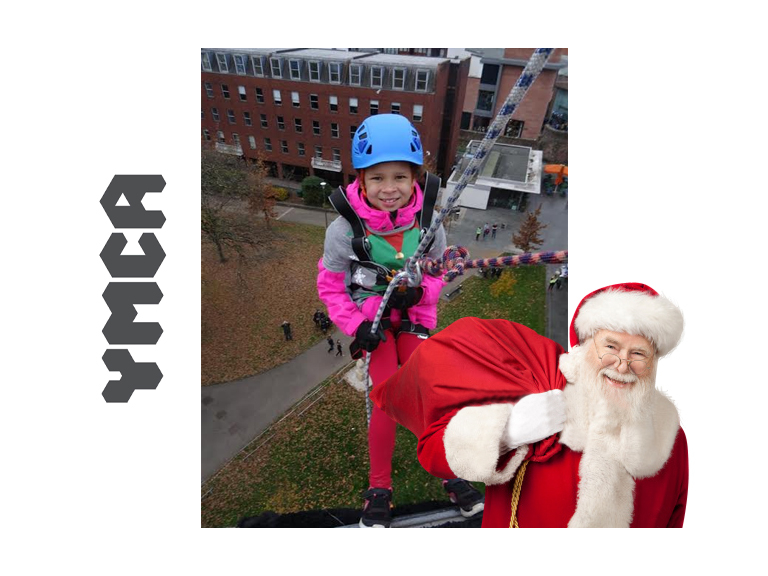 “Three generations of the Pearson family were eager to abseil YMCA Exeter, so that young people around the area are given the help and support they need for the future”. Hilary Bush, Event Organiser from YMCA Exeter says how: “The abseil is incredible fun. It’s a wonderful opportunity for people to do something festive and exciting whilst acknowledging Christmas not an easy time for many people, especially those who are homeless and vulnerable. We have been overwhelmed by public support for our work this past year and the Santa Abseil is the real icing on the cake”. To find out more about YMCA Exeter, their work in the city and their fundraising events throughout the year, visit www.ymcaexeter.org.uk.